Why Filing Taxes Before the Deadline is Important - Call Now! The Canada Revenue Agency (also known as CRA) mandates that taxes be filled within April 30th every year for most people. For those who are self-employed, they are afforded time up to June 15th. This is generally the time of the year when people are in a rush to prepare their statements, file returns and pay any amount due from the last filling to the government. This is particularly the time when people crave for some professional help from various tax preparation services in Canada. 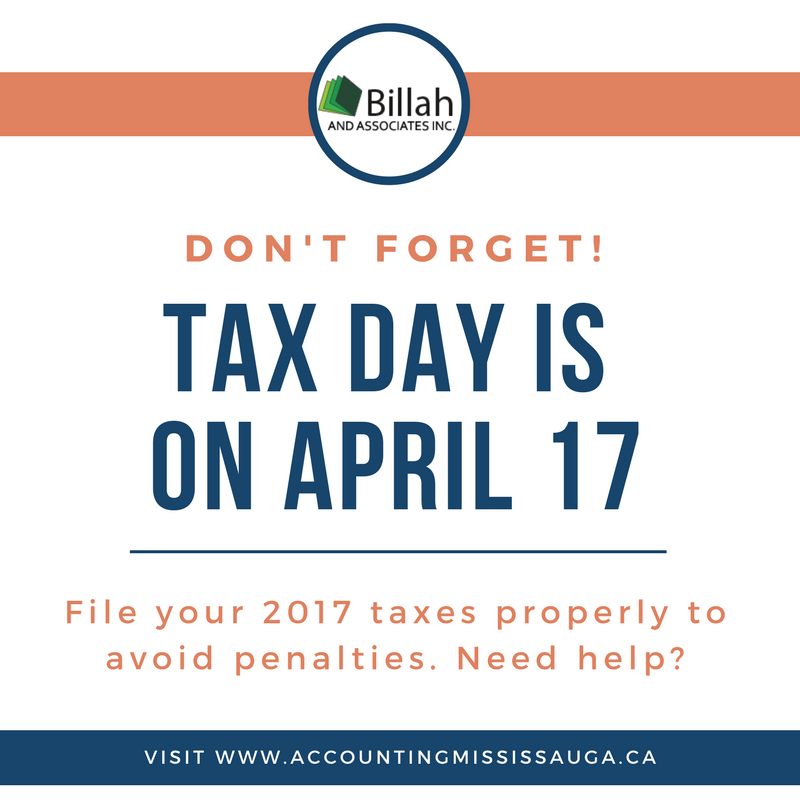 When you have missed your filling or haven’t paid the taxes, you attract penalties from the CRA, depending upon the nature and tenure of error. Generally, these delays are a result of lack of understanding of tax preparation or tardiness. Such procrastination leads to penalties, which varies depending upon whether is a minor error, like owing balance from the last year or more serious cases where there are pending amounts from the last two-three years. In cases of minor penalties, the amount payable is generally the amount due in addition to the 5% of the balance due and 1% of the balance owed for each month the balance is owed. The 1% of balance owed penalty is capped up to a maximum of 12 months only. For those who have balanced due from last two-three years, the late fine is 10% of the due from the last year plus 2% of the balance due for each month up to a maximum of 20 months. However, it’s not only the duration of your balance owed that decides the degree of the penalty but also the case officer responsible for filling. In most cases, such officers are driven by a sense of patriotism which further propels them to recoup the money due to the CRA, since that is observed as the money due to the Canadian public’s welfare. In such cases, it becomes especially difficult to appeal the case filed against the taxpayer and in turn creates further difficulties. While tax lawyers in Canada can help to repeal penalties and fines in special cases, like a person going through divorce or bankruptcy, other cases where the payer remains at fault becomes tricky to handle, and the payer can end up with thousands of dollars in interest and penalties. Most delay in deadlines is because of a lack of understanding and expertise in preparing one’s taxes. They are unaware how to prepare one’s receipts and expenditures with regards to preparing taxes and lack the understanding of the various tax brackets mandated by the CRA. Furthermore, there lie further hurdles in filing the taxes when using various forms like a T1, T4, T4A, T5, T4E and others, according to the need of the person. These forms vary according to the nature of the earning and disclosure that needs to be made by the taxpayer. As a result, while it may be plausible that someone missed their tax filling due to genuine issues, there remains a vast scope of creating financial liabilities from penalties and fines. As such, it’s best that the taxes are always filed within the due deadline with the help of Tax Preparation Services Canada.